“We are raising our tuition rate starting in two weeks,” your daycare provider says while handing you a new contract. Wait, what? You can barely afford the tuition now! 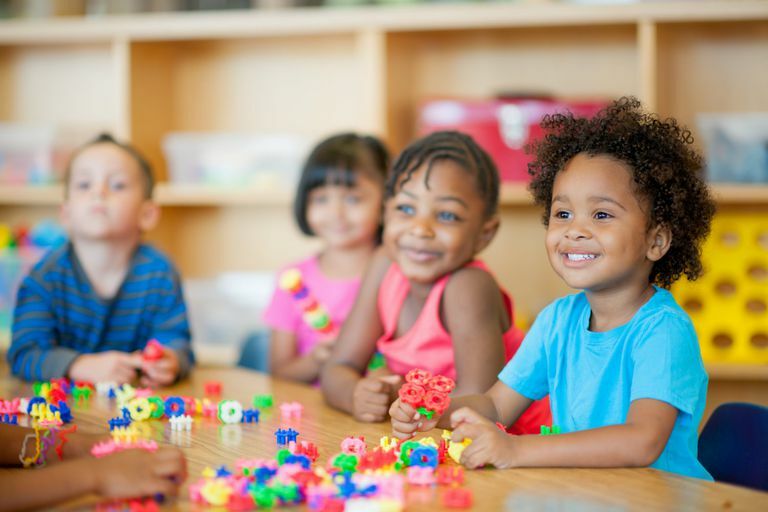 The average child care tuition in the U.S. is $16,514 per year according to a report by New America and Care.com. Where will you get the extra cash to cover the increase? If you go into a nervous sweat thinking about your daycare hiking their price we have some ideas to calm your nerves. Here are six things you could do when and if your daycare declares they are raising their tuition. Before the meeting, review your budget to determine if you truly can't afford daycare's pay increase. If you haven't started cutting corners yet now is a good time to try it. Are there any subscription services you could cancel? Sure, they make your life easier but child care is a necessity. I'm a huge advocate for self-care, but are you or your spouse spending cash on a few luxuries you could go without until your kids get into elementary school? Make a list of the things you could cut back on. Then prioritize which ones you could start cutting back on today. Last, add up the total amount of money you could save if you stopped spending money on them. You may amaze yourself! "A" stands for acknowledging the challenge. "I understand that the tuition cost has been raised." "E" stands for express your point of view using "I feel", "I think" or "I believe" to take ownership of your feelings. "I feel that the cost is too high and we can't afford it." "I" stands for identify alternative actions you'd like to see happen. "I would like to know if we could come to an agreement where we could pay you a higher tuition but not that one you've specified in the contract." or "If you could discount our tuition I could offer my services like clean up or assisting with cutting papers at home for craft prep, or any other needs you may have." "O" stands for outlining your plan to help overcome the challenge. "We went over our budget and know that we can afford $1,000 per month, which is more than what we're paying now. Then in a year, we can reassess our budget to see if we could afford to pay more." "U" stands for seeking to understand from the other person. "Our child loves it here and we appreciate all that you have done for him/her. If my suggestion doesn't sound feasible is there a sliding fee scale or scholarship we could apply for? What do you think of my suggestion?" A sliding fee scale is when the daycare has a specific tuition rate dependent upon the family's ability to pay or based on their income. This offer is more readily available for lower-income families but some daycares may provide this for all families. You don't know unless you ask! A Flexible Spending Account (FSA) is a special account you put money into every paycheck that you can use to pay for certain out-of-pocket health care costs. The beauty of this plan is that you don't pay taxes on this money. This means you'll save an amount equal to the taxes you would have paid on the money you set aside. Speak with your HR manager to find out if your company offers a Flexible Spending Account and what expenses are covered under the plan. Not all FSA's cover daycare costs but it's worth finding out. If they don't cover daycare costs this research will not be a lost cause! You may find ways to use this account to help save some money that you could put toward daycare costs! Your or your husband could look for a second job to cover daycare costs. Your little one(s) are in daycare for four years, which is actually a short amount of time. Although in the moment it feels like an eternity, this time will pass quickly. So find a second job you can work on your own terms so you can squeeze it in before or after your day job. You could join Fiverr to find freelance work. You create a profile and share your skill sets. Then set up a couple of gig descriptions you'd love to be hired for. Another option is for you to become an Uber driver. You can set what hours you are available and with just a small bump in your car insurance, you could be earning a few extra bucks a week. Are you or your husband a good handyman or woman? Browse Craigslist for home care jobs and pitch yourself! Another site you could try is FlexJobs.com. Once you subscribe you'll have access to their job board which offers work from home, part-time and flexible jobs. If your daycare is unwilling to work something out you may need to leave. Your child may be upset but trust that you know what's best and they'll make friends where ever they go. You may find a place that's better than where you are for a less expensive tuition. Post something on your work’s bulletin board. Perhaps there are other parents at your daycare that can’t afford the increase in tuition and you guys could find a sitter to watch your kids. You have other options than finding another daycare. Try post something on your work’s bulletin board to see if other parents would like to start a co-op daycare. This is when a group of parents hires a teacher to care for their children. You could try a home-based daycare. Some may be flexible and will drive your child to a preschool part time so they get the education you were getting at the daycare center. Even better the home-based daycare may have a subscription to a homeschool program they can teach their kids. When you receive news like this the first thing you feel is fear of the unknown. Your daycare raising their tuition can be a shock but know that you have many choices at your fingertips. When you have choices you feel more in control and this helps you foresee positive outcomes. Trust that everything will work out and that your children will be taken care of regardless of how things turn out. How Should You Respond When Kids Lie? What Does a Parenting Coach Actually Do?